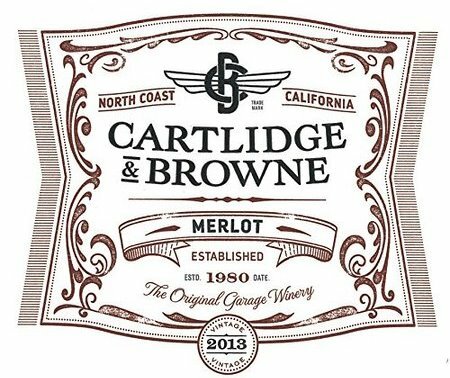 Founded in 1980 as a partnership by Glen Browne and Brit visionary Tony Cartlidge, Cartlidge and Browne began as a négociant-type winery. The young entrepreneur Cartlidge searched the North Coast of California to sniff out vineyards that spoke to him and the type of wine he wanted to make. Instead of investing in fancy digs and hoopla, the partners sunk money into high quality grapes and a fairly simple garage winemaking facility in Napa Valley. Thus, the brand was born. Fast forward over 30 years later when their well-founded success was rewarded in 2011, they sold to a company called Vintage Wine Estates who has thankfully not ruined what the partners established. 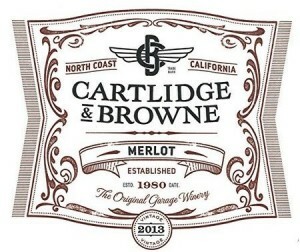 Far from the sweet, cougar juice Merlots of the 1980s and 90s, the Cartlidge and Browne Merlot is burly yet elegant. With soft tannins, medium body and tangy acidity, it hits all the right notes. Dark, brooding cherry aroma tinged with meatiness opens up to black cherry, leather, cigar box, brewed tea and plum on the palate. Yes, this is a big Merlot and one I could drink daily, especially given the price. Don’t think this was the Merlot that Miles ripped on. Very well made. Occasion: Blind tasted. Sample sent from winery. Food Pairings: Slow Cooker Pork Roast, Black Bean Burgers, or Rosemary Scented Lentils and simple, grilled burgers. Never miss a single word on TaylorEason.com! Sign up for the newsletter or the RSS email feed. Recommended recipes, wines and healthy tips delivered to your inbox. Dwain Ulch: Learning ninjas best website for learning many online courses. Lynn: I love Vouvray too but agree with you. Many Sacramento, California Delta producers are growing the grape. I believe it was put on the SlowFood Arc of Taste! Linda: Please tell me where you found the Galloway Port! We have been unable to find and my boyfriend really loves it! !